Food Safety and Sanitation Resource from C.H.I.P.S. 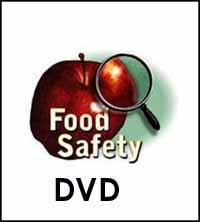 Introduce food safety to the classroom with this DVD! Host Laura Brynn takes viewers on-site to where the food is produced and sold and includes safety tips necessary for the home. Expert commentary is provide by Food Scientist, Dr. Leslie Thompson. Viewers are able to navigate to and from any chapter, quiz or section at any moment with the push of a button. Each section of this DVD includes helpful and printable goals, objectives and quizzes, along with useful hyperlinks to subject matter websites.